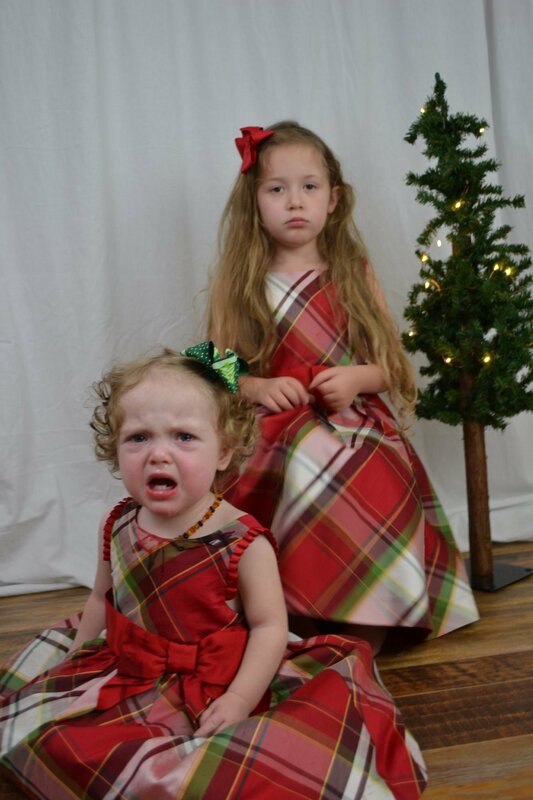 This is a picture I took right before Christmas of my daughters Easton and Kalynn. My intention was to get beautiful photos of my girls in matching pretty dresses. They would look like perfect angels and I would look back on these photos when my babies are grown and think warm cuddly thoughts about past Christmases. In reality I had a moody 5 year old and a teething 1 year old. Nothing went right. I bribed, I begged, I tried multiple times and never could find a time that had both girls in good moods with no runny noses and my schedule open. I finally gave up when I felt more stressed about trying to create the perfect image and realized I wasn't going to get it. They were not happy to pose and I was tired of trying. I write this story because I see this exact thing OFTEN. Almost every shoot I have with children who are younger and don't always want to be photographed. The stressed out parent who just wants the child or children to listen to them and the kids who either could care less or clearly are unhappy. We as parents just want that perfect image to hang in our home of everyone smiling and together. But guess what? That perfect image isn't real. Behind those fake smiles you can see tension, anxiety, etc. Sure you get that magical photo where everyone is smiling and looking and everyone looks great. But did you stress before the photos about what everyone would wear? Did you bribe your little one to smile big and listen? Did you have to repeat yourself over and over to get your little one to listen? What about after your photos? Were you any less stressed? Getting your photos taken shouldn't be stressful. It shouldn't feel like a trip the doctor or dentist. And trust me, even though I'm a photographer I am no better as a mom. I still stress about what we will wear, I bribe and I rush us. As a photographer I want to strive for better. I want to take the stress off the client. Life is too stressful as it is to worry about getting the perfect photo. This is why I offer every style of photography. Why stress about finding a newborn photographer, birthday party photographer and then you need some photos of your pet. 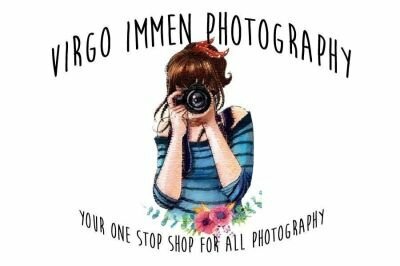 I take care of all your photography needs. I also can get those perfect posed photos but I can also give you realistic life photos. Photos where you aren't posed and faking a smile for the camera but an actual genuine smile. I don't rush kids and I understand some aren't ready, some need to warm up to me. Others need breaks. One thing almost all parents who have photographed with me have said is how patient I am with kids. I want to give you a great experience whether we are in my studio or on location. I want us to have fun and make a memory of a memory. My kids aren't always camera ready. In fact my girls love to not wear clothes or brush their hair. They have to be in the mood to be photographed otherwise they make faces and move a lot. They don't listen to simple suggestions and almost always have to be bribed. But honestly, I photograph it all. Because I don't need all the pretty perfect photos on my walls. I need those photos of them being them at any age. If they want to dress themselves in non matching clothes then okay. If they have to have a toy in the picture to keep them from crying then okay. I don't want to punish them and make them hate photography while I myself am stressing for an unrealistic goal. So capture every moment and I hope you will let me join in on your journey.